A significant problem for many people is aging skin. As we get older, our bodies change in dramatic ways. The aging of the skin is one of the most dramatic changes and tends to define the age of the person. The healthy and beautiful skin that may have been present during our youth eventually disappears. How do we get it back to where it once was? It is possible, with anti-aging products and skin care treatments, to restore the skin to a younger, healthier looking condition. However, it is not likely that the changes in the skin as a person ages can be completely reversed. 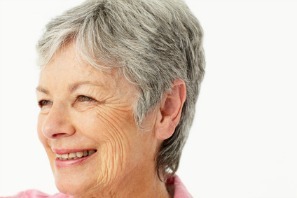 Part of a successful treatment plan is recognizing the aging skin signs when they first occur. In this way, treatments can begin immediately, or corrective actions can be put into place to prevent additional aging skin from occurring more rapidl than it should. Therefore, what are the signs or symptoms of aging skin. Some are obvious, while others are not. The signs can be divided into two principal groups. The groups are not mutually exclusive, there is some crossover, but separating the signs helps determine the causes. First, there are those changes that occur because of genetics (intrinsic or internal aging). Our skin is programmed to look a certain way as we age as it did for our parents, their parents, etc.). Second are the changes that occur because of external influences that the body is subjected to such as the environment (so called extrinsic aging). Would you like to receive the Healthy Skin Newsletter? For information please click here.